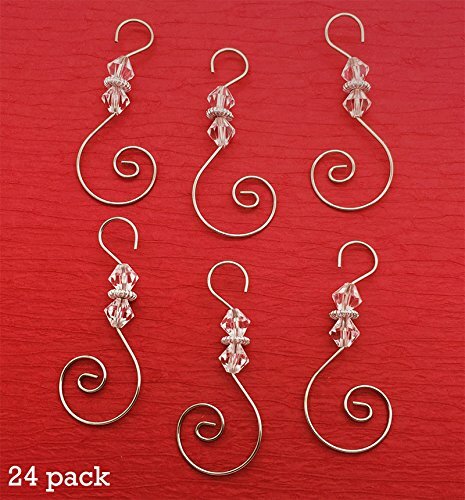 Hang these beautiful diamond shaped clear beaded hooks from your Christmas tree or from your photo ornament tree. Pack of 24 ornament hooks. You get 24 ornament hooks in total. Idea: Use with photo pendants to make beautiful photo ornaments!